Austrian scholar and diplomat, Theodor Ippen (1861-1935) was born to a baptized Jewish family in Vienna and studied at the Consular Academy there. In 1884, he served at the Austro-Hungarian consulate in Shkodra, where, in 1887, he was appointed vice-consul. In 1893, he headed the consulate general in Jerusalem and was subsequently in Istanbul. In 1895, he was appointed consul in Shkodra once again. From 1905, he served in Athens and, from 1909, in London, where he took part in the Conference of Ambassadors as the representative of Austria-Hungary. From 1921 to 1927, he was an important member of the International Danube Commission. He died in Vienna. Theodor Ippen was a leading scholar of Albanian history and culture at the beginning of the twentieth century and was the author of a number of monographs on early northern Albanian history and ethnography, with particular attention to the Middle Ages. Among them are: “Novibazar und Kossovo: das alte Rascien” (Novi Pazar and Kosovo: Ancient Rascia), Vienna 1892; “Stare crkvene ruševine u Albaniji” (Old Church Ruins in Albania), Sarajevo 1898; “Skutari und die nordalbanische Küstenebene” (Shkodra and the Northern Albanian Coastal Plain), Sarajevo 1907; “Die Gebirge des nordwestlichen Albaniens” (The Mountains of Northwestern Albania), Vienna 1908; and numerous scholarly articles on early northern Albania, published primarily in German and Serbo-Croatian. In this article, published in 1916, Ippen presents an overview of Albanian history from the early years of the nineteenth century, a little researched period, to the events of the League of Prizren (1878-1881), which marked the beginning of the Albanian national movement. Sultan Mahmud II, who began his rule over the Ottoman Empire in 1808, was responsible for profound changes in the Empire’s political system. Until that time, the system provided for a feudal-based autonomy for the provinces that gave them and the non-Turkish nationals living in them complete freedom, unimpeded by centralism. The country was administered by traditional families of agas and beys whose positions were inherited. The government in Constantinople, i.e. the sultan and his divan, only exerted its influence in the appointments of high-level officials for the provincial administrations, the positions of sandjak beys, beyler beys and viziers. When Sultan Mahmud began his reign, Albania was being governed by two viziers. In northern Albania, the Bushatli family had managed to make of their rule an inheritable institution, now in the fourth generation. Mustafa Pasha of Shkodra bore the title Vali of Iskenderiyye (i.e. Shkodra), Ohrid, Elbasan and Dukagjin. The Vizier of Shkodra, from the Bushatli family, thus ruled over the present Vilayet of Shkodra and the Sandjak of Elbasan, Peja (Ipek) – once known as the Sandjak of Dukagjin, and Monastir (Ohrid and surroundings), i.e. all of northern Albania with the exception some eastern districts. In southern Albania, the Vizier Ali Pasha of Tepelena held sway. He acquired the Pashalik of Janina in 1770 and gradually expanded his rule throughout southern Albania by acquiring dominions for his sons: the Sandjak of Berat for Muhtar Pasha, the Sandjak of Tirhala (Thessaly) for Veli Pasha, and the Pashalik of Lepanto (Aetolia and Acarnania) for Salih Pasha. The plans and intentions of Sultan Mahmud conflicted in particular with the power of Vizier Ali Pasha of Tepelena. The excesses and brutality of Ali Pasha, and the appeals and submissions of the many enemies he had made gave rise to a conflict between the sultan and his powerful vassal. The bone of contention was the fact that Ali Pasha tried to murder one of his foes, Ismail Pasha Bey, in Constantinople. The sultan summoned Ali Pasha to appear before him within 40 days to justify his actions. Otherwise he would be treated as a rebel. As Ali Pasha did not comply with the order, the sultan deposed him as Vali of Janina and Delvino and sent out a military expedition against him. The fighting that ensued is described in detail in the book Histoire de la régéneration de la Grèce by the French consul-general in Janina, Hugue Pouqueville, who witnessed the events at first hand and whom I have followed here. After two years of resistance, Ali Pasha surrendered to the Serasker Churshid Pasha, who then broke his promise and had Ali murdered on 5 February 1822, on orders from the sultan. The overthrow of the vizier of southern Albania was a spark that ignited a great bonfire: the Greek insurrection and their struggle to rid themselves of Turkish rule. In the years from 1821 to 1829, this insurrection, that soon turned into a real war, absorbed all the time and energy of Turkey, in particular since during the time of the war with the Greeks, Turkey was also involved in a war with Russia (1828-1829). In this period, the sultan set aside his endeavours to reform the domestic structures of the Empire. The Grand Vizier Mehmed Reshid Pasha who led the war against the Greeks in the final years, had had bad experience with the Albanians. All of southern Albania was mobilised as irregulars under their beys and agas in support of the imperial army against the Greeks. Disputes regularly arose between the army high command and the irregular contingents as the Turkish army administration was not able to pay these irregular troops the wages they had earned. The latter mutinied, abandoned their positions, and either took possession of State property or demanded compensation from the local population. These irregular troops going to war or coming back from the war pillaged and plundered the law-abiding subjects of the sultan. All of these problems caused Mehmet Reshid Pasha to hate the Albanians. He made his feelings known to the sultan and it was thus decided to break the haughty pride and independence of the Albanian population and force them into unconditional submission to the government in Constantinople. These plans were postponed in early 1829 when Mehmed Reshid Pasha was appointed Grand Vizier and commander of the armed forces fighting with Russia. The Russian-Turkish war did not last long since Reshid Pasha was defeated everywhere he encountered the Russians. The Treaty of Adrianopolis was concluded on 26 September 1829 and Reshid Pasha was free to return to his previous activities and satisfy his needs to take vengeance on the Albanians. He followed the example of Mehmed Ali Pasha of Egypt, who dealt a blow to the Mamelukes, whom he despised, in a massacre in the citadel of Cairo in 1811. This action had the blessing of Sultan Mahmud who copied it in the massacre of the Janissaries at At-Meydan in June 1826. In June 1830, Reshid Pasha invited all the beys who had served in the Greek war to appear before him in Monastir in order to distribute the outstanding wages of the irregulars sent into battle and in order for him, the Grand Vizier, to have an opportunity to recompense the Albanian leaders for their services. A large number of those summoned did appear, each bey being accompanied by his entourage, a total of about 500 people. A few days later, the Grand Vizier parade the troops of his garrison in accordance with the European regulations recently introduced in the Turkish army. He invited all the Albanians to watch, but warned some of the ones he was more attached to not to appear. During the drill, the artillery and infantry were lined up across from the group of Albanian leaders and fired several rounds at them, enough to exterminate the whole group of unsuspecting spectators. Among the excellent leaders who perished were Arslan Bey of Karamuratades who had participated in the conquest of Athens, and Veli Bey Gjorosani, who had been Governor of Preveza and Arta. The massacre of Monastir did not do away with all the Albanian leaders, and the Grand Vizier, Reshid Pasha, began to hunt down the rest. The brother of Arslan Bey, Edhem Bey, and the brother of Veli Bey Gjorosani, Muslim Bey, were in Janina. Reshid Pasha ordered his son, Emin Pasha, who governed the Sandjak of Janina, to summon the two of them to the fortress and slay them. Muslim Bey fell into the trap and was killed, but Edhem Bey was not that easy to deceive. When he heard of the execution of Muslim Bey, he ordered his followers to pillage the town of Janina in revenge and then returned to his native territory. The Governor, Emin Pasha, was unable to stop him. Aliko Bey Lamci, whom Reshid Pasha wanted to kill too, held out against the Grand Vizier’s troops for twenty days at the monastery of Ostanica in the Pogoniani region, broke through their lines and then escaped into the mountains. Reshid Pasha was interrupted in this campaign when the Vizier of Shkodra, Mustafa Pasha Bushatli, rose against the Constantinople government. Reshid Pasha left Janina in March 1831 and took command of the forces marching against Mustafa Pasha. In 1820, on orders from the sultan, Mustafa Pasha of Shkodra had sent his forces against Ali Pasha of Janina, but the moment he crossed the Shkumbin, he was forced to return to Shkodra to defend his territory against the Montenegrins who had invaded, no doubt at the behest of Ali Pasha of Janina. In 1823, on orders from the sultan, Mustafa Pasha sent his troops to the Greek front once again. He advanced to Karpenisi. The well-known figure Marko Boçari was killed in fighting Mustafa Pasha’s troops, who also laid siege to Missolonghi. Mustafa Pasha was later forced to abandon the siege of Missolonghi when the plague broke out among the Anatolian troops and they were left without food and winter clothing due to lack of preparation. Since he was unable to find winter quarters for his men in southern Albania, he was forced to return home. Sultan Mahmud was furious at the withdrawal of the Vizier of Shkodra and resolved to eliminate him in the same way he had eliminated the Visier of Janina, since Mustafa Pasha, too, was an impediment to the new centralist policies, which included the abolition of local autonomy. Mustafa Pasha learned what the sultan was up to and endeavoured to make sure that he was armed and prepared for the coming fight. He refused to return to the front in the Greek war and, when Russia declared war on Turkey in April 1828, Mustafa Pasha delayed the deployment of his contingent for quite a while. He only appeared anywhere near the battlefront after the conquest of Adrianople (30 August 1829), when General Diebich was advancing on Lule-Burgas and Çorlu, almost at the gates of Constantinople. Those who opposed the sultan’s policies stored their hopes in the army of Mustafa Pasha. They hoped that it would conquer Constantinople and dethrone Sultan Mahmud. The sultan, who was aware of what was going on, made numerous arrests in the capital. Around 600 men were hanged as members of a conspiracy. He then hastened to conclude a peace treaty with Russia to ensure that Mustafa Pasha of Shkodra would no longer have any reason to keep his forces anywhere near the capital. Although the indecisive Mustafa Pasha was aware that Sultan Mahmud wanted to destroy him, he did not have the courage to attack first and depose the sultan, something he could well have achieved in 1829. The Monastir Massacre of 30 July 1830 terrified Mustafa Pasha of Shkodra and catapulted him into action. He reached an agreement with the remaining leaders of southern Albania, Ismail Pota in Toskeria, commonly known as Silihdar Pota, and the Beys of Filates and Aydonat [Paramythia] in Chameria, and attacked. Mustafa Pasha advanced on Monastir that was held by Grand Vizier Reshid Pasha and his army. The first battle took place in the Babuna mountains near Prilep. Mustafa Pasha’s troops were defeated and scattered, and Mustafa Pasha, having no further opportunity to fight the Grand Vizier, withdrew to Shkodra, where he locked himself in his fortress and waited for Reshid Pasha to besiege it. The Grand Vizier, who was now not held back by any Albanian opposition, got to Shkodra and immediately began to besiege the citadel. Vizier Mustafa Pasha appealed for Austrian intervention. In November 1831 he was forced to capitulate, but Austrian mediation with the Turkish Government had the result that Mustafa Pasha was not punished but was only to change his place of residence to Constantinople. His private property was untouched and is now in the hands of this grandsons. During these events, the son of Grand Vizier Emin Pasha, who had been left in Janina by his father to serve as governor, took up the struggle against the allies of the Vizier of Shkodra in southern Albania. He defeated the beys of Chameria, who were attacking Janina, near the village of Velshista on 3 July 1831. The beys barricaded themselves in the fortress of Aydonat but were compelled to surrender to Emin Pasha after two month of resistance to the siege. The Grand Vizier sent the Pasha of Salonica, Mahmud Pasha, out against Ismail Silihdar Pota, the other ally of the Vizier of Shkodra. Silihdar Pota was so successful in his defence for five months that Mahmud Pasha finally granted him the right to withdraw with all of his moveable property. This Albanian leader, Ismail Aga, came from the village of Pota or Poda in the district of Leskovik and, in line with southern Albanian custom, took on the name of his village. He was a loyal follower of Vizier Ali Pasha of Janina, who appointed him as Silihdar, weapon-bearer, in his court (this is the reason why Ismail Aga is called Silihdar Pota). He fought for his master, Ali Pasha, against the troops of Serasker Churshid Pasha, and served the sultan after Ali’s fall in the war against the Greek rebellion in Thessaly. In 1832 rumours were spread against him at the court of the sultan and he was proscribed in a ferman, but survived by personally killing the four Kapudji Bashi who had been sent out to slay him. He then abandoned the battleground with his irregulars and returned to his home in bitter hatred of the sultan, the Sublime Porte and all Ottomans (Pouqueville, Histoire de la régéneration de la Grèce, IV, p. 449). In March of the following year, 1833, there was a new uprising against the Turkish government in southern Albania. Some of the beys and agas, who, horrified at the Monastir Massacre, had fled to Greece, returned to southern Albania and tried to overthrow the new administration and drive its representatives out of the country. Among them were Abdul Bey Koka of Delvino, Tafil Busi, Zejnel Aga Gjoleka and Mahmud Bajraktari. However, Emin Pasha of Janina opposed them with a strong military force and they withdrew into the mountains along the Turkish-Greek border. In the summer of the same year, the region of Gjirokastra rose in revolt against the new administration and slaughtered the government officials. The Albanians also occupied the passes of Episkopi and Xerovalti near Delvinaki that provided access to the Valley of Gjirokastra from Janina. They were, however, forced by Emin Pasha to abandon their positions, who encircled and dispersed them. In this expedition, Emin Pasha made use of the Christians of the Pogoniani region who served him well. The rebels of Gjirokastra later punished them for their services to the Turks by roasting their leader, Captain John Daka, alive on a spit and by killing his sons and three other family members. In March 1834, the aforementioned Albanian leaders repeated their invasion of southern Albania. This time, they were successful. They seized Kurvelesh and mustered a force of 2,000 men. They then took Berat and surrounded the Turkish troops in the fortress there, from where they set off for Janina. The Kaimakam of Janina, Hasan Aga, set upon them with a force of 8,000 regular troops near Cervari, six hours north of Janina, and surrounded them. Tafil Buzi, a rebel leader, broke through the siege with great courage and returned to Kurvelesh and Tepelena. The government began to negotiate with the rebels and succeeded in persuading them to end the uprising. The Grand Vizier Mehmed Reshid Pasha finally defeated the hereditary governor of Shkodra, Mustafa Pasha Bushatli, in northern Albania, but was unable to continue his work of subjecting the Albanian feudal lords as Sultan Mahmud had ordered, because he was summoned urgently to Asia Minor in March 1832 to take over the command of the army which was to block the forces of the Pasha of Egypt advancing on Constantinople from Syria. Mehmet Reshid Pasha fell near Konya on 21 December 1832. When the external threats to Turkey subsided with the peace agreement with the Pasha of Egypt, brought about on 4 May 1833 with Russian mediation, Sultan Mahmud was once again able to devote his energy to domestic reform. 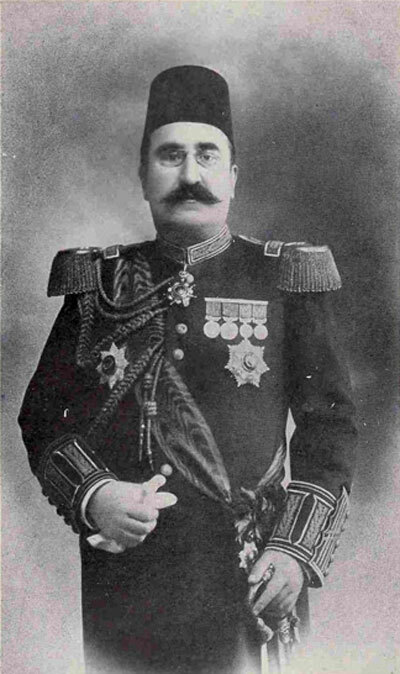 General Hafiz Pasha, Governor of Shkodra, had instructions to break the resistance of the people of Shkodra in order to introduce the centralist administration adopted for Turkey by Sultan Mahmud. He was also to introduce a new system of recruitment for the standing army. The offensive launched by Hafiz Pasha, in accordance with his instructions, caused an uprising in Shkodra in 1835, which the governor was unable to put down. In August 1835, Sultan Mahmud sent the Rumili Valisi of Monastir, Mahmud Hamdi Pasha, to Shkodra, but he, too, was unable to defeat the rebels. He was only able to restore peace for a time by reaching a compromise with them. Even though the Rumili Vasili, Mahmud Pasha, was unable to suppress the people of Shkodra, he continued the work of Sultan Mahmud that the Grand Vizier Mehmet Reshid Pasha had begun in northern Albania after the defeat of Mustafa Pasha Bushatli, by removing a few minor feudal lords from their hereditary posts. He arrested Ibrahim Bey of Kavaja, sent him to prison in Constantinople, and confiscated the substantial riches of his family, that now constitute profitable assets for the imperial civil lists. In 1836, the Rumili Vasili arrested the feudal lord Arslan Pasha Mahmud Begolai of Peja, Sejfuddin Pasha of Gjakova, the brothers Mahmud and Emin Pasha of Prizren, and Sulejman Bey Gulogli or Hodjogli (i) of Dibra, dismissed them from their offices as governors of the districts in question, and sent them into exile, mostly to Anatolia. He died in Skopje in September 1836, and was thus unable to complete the abolition of feudal power in Albania. In 1840, the sons of Sulejman Bey Gulogli, Omer Bey and Mersid Bey, who were still in Dibra, were arrested by the Rumili Vasili, together with other family members, and exiled to Ankara because the imperial authorities had come to the conclusion that, although this family had been removed from office, its influence was impeding the subjugation of the districts to the central government in Constantinople. Among the feudal families of Albania that remained untouched were the hereditary governors of Tetovo (Kalkandele) and Skopje, (ii) the brothers Abdurrahman Pasha and Avdi Pasha, and the rulers of Prishtina and Kosovo Polje, Abdurrahman and Jashar Pasha. (iii) The Pashas of Skopje and Tetovo were summoned to Constantinople in 1843 because of a dispute between them that had resulted in a private war. They were relieved of their charges in their original districts and were interned in Asia Minor. The Turkish government also removed the feudal lords of Prishtina from their hereditary lands. The grandchildren of the above-mentioned Jashar Pasha of Prishtina grew up in Constantinople and now live there permanently. Shkodra, Prizren and Peja were each made a liva (district) under a general (usually Ferik) of the regular army. Prishtina, Skopje, and Tetovo were under the control of local pashas and belonged at times to the eyalet of Rumili and at other times to the eyalet of Sofia. Kavaja, Durrës, Tirana, Peqin, Elbasan, Mat, Dibra, Gora, Mokra, Korça and Starova [Pogradec] belonged to the liva of Ohrid, ruled by the kaimakam of the Rumili Vasili. Monastir and surroundings were administered directly by the Vali. The southern part of Albania belonged to the eyalet of Janina. It comprised the kaimakamliks of Berat, Gjirokastra, Arta and the districts around Janina. Thessaly as a kaimakamlik also belonged to the eyalet of Janina at times. The collection of taxes was left to the Vali. Taxes were not assessed and collected by government bodies; this activity was farmed out (Turkish: iltizam). The collection of taxes for a certain province was auctioned to a private individual for one or more years in return to a lump sum that the individual in question paid to the treasury in Constantinople. How the individual assessed or collected the taxes he raised was of no further interest to the government authorities. On many occasions it was the Vali who collected the taxes. The Vali Mahmud Hamdi Pasha bought the right to collect taxes in the eyalet of Janina in 1833 for a year. It was later the Vali Nuri Osman Pasha for the three years from 1842 to 1844. It is not difficult to imagine what excesses can occur when the governor of a province, who has all the forces of the government under his control, is the same person as the one collecting taxes on a private basis and is interested in making as much money as possible out of the deal. This system was not particularly suitable to instilling in the Albanian population the conviction that they had got a good deal out of replacing their hereditary feudal governor with a permanent foreign functionary dependent for everything he needed on the central administration of the Empire. The defence law was issued on 6 September 1843. The administration of taxes was taken away from the governors and transferred to special officials of the Ministry of Finance in Constantinople. Among the new taxes introduced were a livestock tax (Turkish: agnam, also known as jeleb), a house and farm tax (Turkish vergü), and tithes which were formerly collected by the spahees, and were now to be paid into the treasury. The Hatt-i Sherif of Gülhane was made known in Shkodra on 4 January 1840 by a special commissioner sent from Constantinople. The Constantinople government, however, merely read out the imperial decree and did not bother to implement the new laws in Albania. Emin Pasha, the son of the Grand Vizier Mehmed Peshid Pasha and a fervent supporter of the centralist thinking of Sultan Mahmud, was Vali of southern Albania from March 1831 to October 1833 and from November 1836 to September 1837, and, as a true son of his father and just as much a foe of the Albanians, he endeavoured to carry out forced recruitment campaigns and other changes in southern Albania that Sultan Mahmud had ordered. These measures had caused the uprisings of 1833 and 1834 mentioned above. In 1837, a new revolt, provoked by Emin Pasha’s administration, broke out on the Myzeqeja Plain and in the districts of Berat and Vlora under the leadership of Ali Bey Frakulla. The Constantinople government realised that Emin Pasha’s harsh actions had been a mistake, called him back and stopped implementing the reforms in southern Albania. As such, the Hatt-i Sherif of Gülhane and the laws passed on the basis thereof were not implemented in the period from 1839 to 1844. In a subsequent attempt to introduce the new conscription and taxation laws in northern Albania, there was a general uprising against the centralist policies of the Turkish Government in the provinces in question. Despite the distance that now separated the feudal families from the government in the districts concerned and despite the takeover of the government administration by the central authorities, the population refused to submit to centralism. Indeed opposition to centralism and support for Albanian autonomy and its institutions, which had previously been backed only by a few ruling families serving their own interests, was now being embraced by the broad masses of the urban population. The movement was expressed in a number of local uprisings against the central administration. In September 1839, the population of Prizren drove out the governor, Ismet Pasha. The Rumili Vasili proposed to the Kapedan of Mirdita that he occupy the town of Prizren with his Mirdita tribesmen for the Constantinople government. The Kapedan refused and, since the authorities had insufficient military forces to deal with the problem, the government gave in, did not punish the province of Prizren and fulfilled some of the demands of the population. In 1844, an uprising broke out in Skopje, Tetovo and Prishtina against the central government, against recruitments for the standing army and against the taxes. An Albanian army of about 10,000 men was formed between Skopje and Veles (Köprülü) under the command of Dervish Aga Zara. The Rumili Serasker (Corp commander of Monastir), Reshid Pasha, gave orders for the rebellion to be put down. General Omer Pasha Renk (the one-time Austrian border sergeant Michael Lattas, subsequently known as Serdar Ekrem) defeated the Albanians near the village of Kaplan and took Skopje. General Haireddin Pasha then occupied Tetovo. In early July 1844, Prishtina surrendered to the Rumili Serasker and the rebellion was thus regarded as over. In his fight against the rebels, the Kapedan of Mirdita, Bib Doda, fulfilled his obligations to the Sultan by providing a contingent of men who played an important role in putting down the uprising. He was decorated on several occasions by the Serasker and awarded an honorary sabre and pistols. The troops left Prishtina for Gjakova and Prizren. These areas had not joined the rebellion. The troop commanders arrested a number of people known to be in the opposition and initiated recruitments campaigns wherever they went. Their headquarters were then transferred to Tetovo. It was from here that General Haireddin Pasha undertook an expedition to Dibra and Mat, and was involved in much bloody fighting. The hard-pressed leaders of Dibra fled to Shkodra in order to escape abroad, but were arrested in Shkodra. The hereditary feudal governor of Dibra, Hakki Pasha, scion of the family of the Pashas of Dibra, was removed from Dibra. Although he was on the side of the imperial troops when they advanced, he was accused of having conspired with the Albanians against the government in Constantinople. He was arrested on 28 October 1844 and taken off to Constantinople. Troops were conscripted in Dibra and, with the exception of Shkodra, all districts were ordered to give up their arms. Winter then put an end of all further operations. The district of Gjakova rose in arms in 1845. The Rumili Serasker had forbidden the population from bearing arms the year before, but the district refused to comply. The Malissors (mountain tribes) gathered under their leaders Binak Ali and Sokol Aram. The uprising spread to the region of Reka and involved the tribes of Bityçi, Gashi, Tropoja and Krasniqi. The Rumili Serasker fought the uprising primarily with irregular troops that the other districts of Albania had to provide. These were about 3,000 men from Shkodra, primarily Catholic Malissors of the Hoti, Shkreli, Kastrati, Reçi, Lohja and Postripa tribes, as well as men from Mirdita and Mat. The rebels comprised about 8,000 men. They drove the garrison out of Gjakova. In early June, imperial troops retook Gjakova and the irregular forces advanced on Reka and the mountains through Junik. The revolt was initially successful, but when the irregular troops were reinforced by imperial forces with artillery, they were able to take the Morina Pass in Bityç, and when the rebels were put to flight on 1 July, the troops marched into Gashi and Krasniqi. In order to defeat the rebels completely, the Serasker ordered further irregulars from Shkodra on the other side of the mountains to advance in order to block their escape route. This operation was carried out successfully by the Malissors of Shala and Shoshi, and by Ali Bey of Gucia [Gusinje] with a contingent of men from Gucia, Plava, Vasojević and Kući. As such, the rebels all surrendered on 6 July. The Serasker arrested a number of suspicious individuals in Gjakova and fortified his position there. He sent the Kapidan of Mirdita with irregular forces from Mirdita, Mat and Tetovo into the mountain valleys to conscript soldiers among the Malissors. 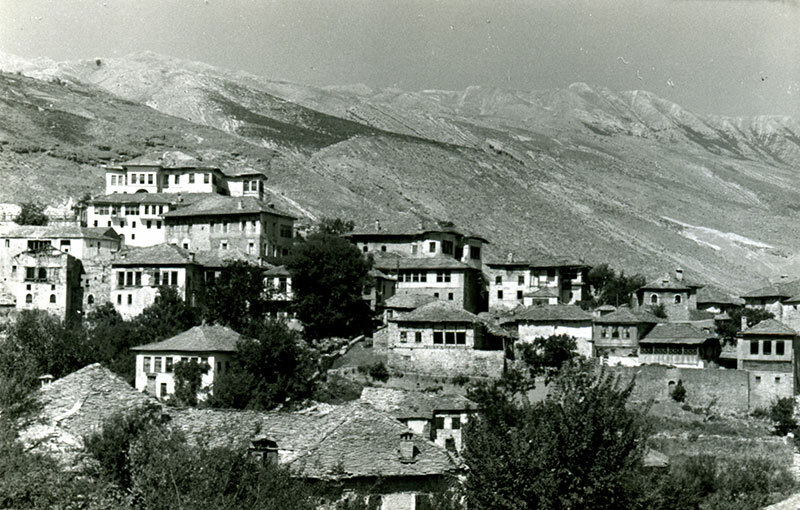 Gjirokastra in 1947 (Photo: Branimir Gušić). The success of the Turkish policy of centralization was, however, ephemeral. As long as Turkish troops were present in full force, some soldiers could be conscripted and some taxes collected by force. But as soon as the Vali or Serasker of Roumelia returned to his seat of office in Monastir, the population rose in revolt again. The provinces of Shkodra, Gjakova and Dibra retained their earlier administration and never completely submitted to the conscription law of 1843 and the new tax laws. It was enough for the Constantinople authorities that these provinces preserve an outward appearance of submission and loyalty and not rise in open revolt against the government. The Turkish Government had more success in southern Albania than in the north in implementing its uniform centralist administration. In March 1845, an imperial ferman reached Janina that provided for the separation of the office of tax administration from the office of the governor in the eyalet, but the ferman was not obeyed. In April of the following year, 1846, the Rumili Serasker, Mehmed Reshid Pasha, was seconded to Janina to set up a new administration. He thus introduced the new conscription and taxation laws, instituted a mixed mejlis [assembly], and banned the bearing of arms. Things went well for as long as the Rumili Serasker and his troops were in the eyalet, but when he departed, and the Vali, Hafiz Pasha (who had been commander of the Turkish army when it was defeated by the Egyptians near Nisibin in Mesopotamia on 24 June 1839) was on his own, a new revolt broke out against the change in administration. In July 1847, the government authorities that endeavoured to introduce the new livestock tax (jeleb) in the region of Kurvelesh were driven away by the Albanians under the leadership of Zejnel Aga Gjoleka of Kuçi. The uprising soon spread to the whole of Labëria (the districts of Vlora, Delvina and Gjirokastra). When Zejnel Aga Gjoleka succeeded in taking the town of Delvina, Chameria (the districts of Filat, Aydonat [Paramythia] and Margariti) rose in revolt, as did Toskëria (the districts of Berat, Tepelena and Përmet) against the newly imposed administration. At the head of the revolt in Toskëria was Rapo Hekali from Myzeqeja. He succeeded in taking the town of Berat and in besieging the garrison in the fortress there. Zejnel Aga Gjoleka also succeeded in defeating the two battalions sent out against him, and in besieging Gjirokastra. The government in Constantinople ordered the Rumili Serasker, Imrahor Mehmet Emin Pasha, whose predecessor Reshid Pasha had died in Monastir on 25 January 1847, to put down the revolt. He chose to advance from Monastir to Berat and ordered another division under Zaim Bey, commander of Kastoria, to march on Gjirokastra. 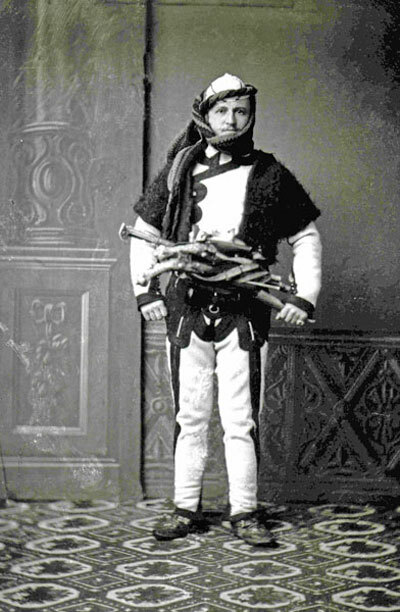 Zejnel Aga Gjoleka was able to defeat the corps of Zaim Bey in July 1847 before the latter was able to join forces with the imperial troops in Gjirokastra and then completely surrounded the troops confined in Gjirokastra. A second division of 2,000 men that arrived from Thessaly to come to the rescue of the troops surrounded in Gjirokastra was attacked by the Albanians near the village of Doliani on 28 August and driven back to Janina. Zejnel Aga Gjoleka had paved the way to Janina and could have taken the town, but unfavourable news from Berat kept him in Labëria. Rapo Hekali had had to abandon his siege of Turkish troops in the fortress of Berat as he was under threat of being surrounded himself by the forces of the Rumili Serasker. When Mehmed Pasha arrived in Berat himself with ten battalions, the Albanians of Toskëria scattered and abandoned any further resistance. Mehmed Pasha advanced swiftly and intrepidly over the mountains into Labëria, and this operation demoralised the men of Gjoleka such that they were scattered, too. The Serasker arrested many of the nobles of southern Albania: Rapo and Hamid Hekali of Berat, the two sons and two nephews of Ismail Bey Vlora from Vlora, Uvajz Vashari and the three sons of Tahir Abazi of Tepelena, Tahir Bey of the family of Kaplan Pasha of Gjirokastra, Abdul Bey Koka, Celo Piçari and Sulo Kalapoda of Delvina, Alizot and Ahmed Dino of Filat, and Tahir Çapari of Margariti. Many men of the lower orders were drafted into the army. Sixteen rebel leaders were interned in Konya and the rest were pardoned by an imperial ferman. The authorities were not able to capture Zejnel Aga Gjoleka. He later surrendered on condition of a pardon and was appointed by the government as the commander of irregular troops. He fell in this capacity in the campaign against Montenegro in 1852. Rapo Hekali died in prison in Monastir. The Serasker conscripted troops in the rebel districts and returned to Monastir at the end of 1847. In the twenty years between the Turkish-Russian war of 1853-1856 and the military events of 1875-1878, Turkey consolidated its new domestic constitution and administrative organisation. The principles set forth in the Hatt-i Sherif of Gülhane were implemented in detail by a second imperial edict, the Hatt-i Hümayun of 18 February 1856, and a number of subsequent laws were issued over the years in line with this edict that regulated provincial administration, the organisation of the courts, education and taxation. All the legislation was infused with a spirit of centralism and bureaucracy, as it had been conceived by Sultan Mahmud II. In Albania, the new administration, although not impeded by any major revolts in this period, was unable to persuade the population of the benefits of the modern legislation. Speaking about Albania, one very competent author stated the following: “On reste convaincu, qu’en aucune autre province des Etats européens du Sultan le gouvernement n’a montré plus d’incurie et d’ignorance des besoins des populations et de ses propres intérêts. Il semble qu’il ait pris à tâche de provoquer de ce côté la désaffection de ses sujets, et l’on peut affirmer, que l’état déplorable de l’Albanie est en grande partie l’oeuvre de ses fonctionnaires.” [Engelhardt, La Turquie et le tanzimat, II, p. 245]. Pursuant to the law of 1865 on the organisation of the domestic political administration, Albania was divided up into several vilayets: the Vilayet of Monastir, the Vilayet of Janina, the Vilayet of Shkodra. A number of experiments were conducted on the latter of these, firstly by reuniting it as an eyalet to the Vilayet of Monastir, and then by making it an autonomous vilayet of its own once again. Experiments were also conducted in the northeastern parts of Albania, i.e. the pashaliks of Prizren, Peja, Prishtina and Skopje. At one time they formed a Vilayet of Prizren and then were part of the Vilayet of Nish, or of Monastir, or of Kosovo. In none of the Albanian vilayets did the new administrative laws ever take full effect. In most areas they were only in force nominally, and in some regions not at all. In the Sandjak of Shkodra, conscription and the new taxes were never introduced. The whole population, including the Christians, did military service in case of war and only the old taxes were paid that had existed before the administrative reform. In the Sandjaks of Peja (formerly the Sandjak of Dukagjin) and Prizren, conscription and the new taxes were introduced nominally, but the population only volunteered the recruits and taxes it wanted to, and this amount did not at all reach the levels required by the military and the tax administration. There were also criminal courts, as institutions, in the two aforementioned towns, but their efficiency was limited and many crimes were beyond their purview. Some men were recruited in the Sandjak of Dibra, but in general, neither the conscription law nor the taxations laws were implemented. No court authorities were organized in Dibra either. There was some conscription in the Sandjak of Elbasan, but the taxation and court authorities were for the most part only nominally effective. In all of these areas, one must make a distinction between the towns, the lowland villages and the highland villages, as used to be done in the Scottish lowlands and highlands. The above remarks refer only to the lowland areas, whereas the highlands, the Albanian Malesia, are a complete exception. The highlands were not subject to conscription, but their inhabitants did serve as irregular soldiers in case of war. The new taxes were not extended to cover the highlands. Most highland regions paid no taxes at all, though some did pay a modest tribute. The Turkish court authorities did not exercise jurisdiction over the highlands and state laws had no effect there. The highlands had their own customary laws that were observed by the highlanders themselves. Even though the highlands were encompassed in the new provincial organization, they have still retained the age-old autonomy they had before the introduction of the new administration and were not assimilated into the other districts. As can be seen, the autonomy of the Albanian highlands was the only leftover of the earlier internal organization of the Turkish Empire. The highlands, including the Vilayet of Shkodra, were inhabited primarily by Catholics. The endeavours of the Turkish Government to abolish autonomy and introduce the centralist administration of Turkish bureaucracy were primarily to their detriment. Uninfluenced by the Turkish Government, the highlands governed themselves, each tribe through its own leader, who received instructions from time to time directly from the Governor of Shkodra. The Vali, Menemenli Mustafa Pasha, who governed the province of Shkodra from 1856 to 1858, introduced a new organization for the tribes that lived around Shkodra. It was designed to make them more dependent upon the authorities. The leaders of the tribes in question were to assemble in Shkodra in an administrative council, chaired by someone appointed by the governor. The chairman was not to be from the highlands but was to be chosen from among the leading figures of the town of Shkodra and had to be a Muslim. The tribes were thus deprived of their right to decide on their own internal affairs through their leaders and their powers were transferred to the new council, called the Shkodra Djibali Komisioni (Commission for the Mountains of Shkodra), known for short as the Djibal (Mountain). Although this organization preserved the façade of autonomy, it meant in essence the abolition of autonomy, because the council meeting in Shkodra was not free, as were earlier highland councils, but was dominated, through its chairman, by the governor. The Mirdita region, an area of the highlands belonging to the province of Shkodra, had its own traditional form of organization. It was headed by a chief bearing the title Kapedan, who was a direct vassal of the sultan, represented by the governor of Shkodra. Since the poor Mirdita region had the most developed autonomy of all the highlands, it was subjected by the Turkish bureaucrats to the most obstinate and relentless endeavours to bring it down. Kapedan Bib Doda, who was elevated by Sultan Abdul Medjid to the rank of a pasha, died in 1868, leaving behind an eight-year-old son. The latter was the legitimate Kapedan of Mirdita but could not assume his father’s position because he was underage. The Turkish authorities regarded this as a favourable moment to do away with the autonomy of Mirdita. Prenk, the underage son of Bib Doda, was sent to Constantinople where he remained until 1876. Mirdita itself was transformed into a kaimakamlik and was to be governed by the laws of 1865 and not under the old autonomy status it had once had. To facilitate the change, paternal relatives of the late Kapedan were offered the position of kaimakam, beginning with Kapedan Gjon Marku and then with Kapedan Kol Prenka. Later, Muslims who were not even from Mirdita: Hajdar Aga Belegu of Kruja and Reshid Bey Bushatli of Shkodra, were offered the position of kaimakam, but the highlanders of Mirdita would have none of them and refused to obey them. They demanded that they be placed under the rule of the young Kapedan Prenk Bib Doda. When the latter returned to Shkodra from Constantinople in 1876, the Turkish government did not give him Mirdita. In his place, Dervish Bey of Prizren was made kaimakam. The conflict escalated until 1877 when a military operation was carried out against Mirdita. Although Kapedan Prenk came to terms with the Turkish government in 1878, the administration of Mirdita was still not accorded to him, but was rather offered to Jusuf Aga Sokoli of Shkodra, then to Colonel Rashid Bey, and then to Mahmud Aga of Podgorica. Yet none of them were able to assume office in the region. Kapedan Prenk Bib Doda was forcefully expelled from Albania in January 1881, but the conflict about the recognition of Mirdita’s traditional autonomy carried on, and the Turkish government was not able to calm tensions and create a stable administration in the region. 1. The Turkish Government was to carry out no official duties on the territory of the malesia. Such duties were to be carried out only by the local chiefs. 2. They were to be exempt from providing recruits for the regular army, but would obey a traditional call for mobilisation in case of war. 3. They were to be exempt from the paying of taxes according to the reformed taxation system. There was a minor uprising in the highlands of Gjakova in September 1864 to force the authorities to give way to these demands. Nazif Pasha, Governor-General of Monastir, who had arrived on the scene, endeavoured to come to terms with the rebels, as he was too weak to suppress them by force of arms. The highlanders were thus able to stop the Turkish administration from interfering very much in their affairs. Abuse and malpractice in the administration led to a new uprising that broke out in the districts of Ostrozub and Palusha in September 1866, and was settled by the governor of Prizren with empty promises. The malfunctioning of the administration and the obvious weakness of the government led to anarchy in the eyalet of Prizren that eventually posed a great threat to the Christian population. Bands of highlanders from the mountains of Gjakova attacked Christian villages around Gjakova and Peja, burned down farmhouses and pillaged the possessions of Christian farmers. In November 1866, the Turkish government sent Marshal Selim Pasha of Monastir and Brigadier General Mahmud Hamdi Pasha of Prizren to restore order. Mahmud Pasha acted decisively and energetically. He pursued the trouble-makers into the mountains of Krasniqi, attacked them repeatedly, and arrested about 200 of the people most involved in the affair. Six of them were shot. From Gjakova he marched to Peja to put down the rebels there. His energetic action against the Muslims, to protect the Christians, was not liked in many quarters. Marshal Selim Pasha called him back from Peja and returned with him to Monastir at the end of January 1867, taking the leaders of the revolt with them. The withdrawal of General Mahmud Pasha was a signal to the rebels to rise once again. The main leaders of the uprising, Binak Ali Bajraktari of Krasniqi and Shakir Curri of Gjakova had escaped punishment by Mahmud Pasha and were once again in the vanguard of the movement. In March 1867, the Turkish government was obliged to send Mahmud Pasha back to Prizren once more, but he was given insufficient forces such that, in view of his negative experience in the past, he did not go on the offensive. However, his presence in Prizren was enough to hold back the rebel movement. Due to the uprising of the Christians in Crete, the Turkish government was not in a particularly friendly mood towards Christians in general at that time and was not willing to treat its Muslim subjects harshly just because of the Christians. Mahmud Pasha was therefore recalled to Constantinople for two months and it was decided to send a commission to Prizren to pacify rebel northern Albania in a more amicable way. The commissioners, Afif Bey and Mola Sejfuddin Efendi were active in Prizren, Gjakova and Peja until the summer of 1868, but their activities left no lasting traces in the region. The latent discord that existed between the administration and the population remained, and expressed itself from time to time in small uprisings. In southern Albania, i.e. in the vilayets of Janina and Monastir, the new system succeeded in gaining more of a foothold. Many of the beys and agas agreed to serve in the government administration and in the military, and a community of interests arose between the government and this influential class of the population who enabled the new administration to establish itself in southern Albania better than in other regions of the country. However, the central government held to the principle of employing Albanian officials in the provinces of Anatolia rather than in their homeland. Nonetheless, some of the more remote mountain regions of southern Albania were able to escape effective control by the administration. Some uprisings in southern Albania, for example in 1867, were limited to the Christian population and were not motivated so much by the local conditions in the province as by the fact that the Christian Albanians in the south, under the influence of the pro-Greek Orthodox clergy, were often used as pawns against the Turkish government whenever it was to advantage of the Greeks in their political endeavours. Albania was governed by the Albanian League for three years between 1878 and 1881. The Albanian League was a popular government. If we look for historical parallels, we can note that it was much like the confederation formed by the Swiss cantons of Schwyz, Uri and Unterwalden in 1307. There are also parallels to the Committee of Public Safety that ruled the French Republic from 1793 to 1795. The Albanian League also has similarities to the Swiss Confederation in that the perils faced by the individual cantons were made secondary to overriding interests. The analogy to the French Committee of Public Safety lies in the terror that the measures taken by the Albanian League often constituted. The popular government of the Albanian League had no centre where a common government could be founded. It sprang up in various parts of Albania, represented by local committees of equal rank that were only loosely connected to one another. The Albanian League was especially prominent in Prizren, Janina, Preveza, Shkodra and Dibra. Turkish government circles in Constantinople had a substantial influence on the rise of this popular movement. The idea of creating a league in the first place seems to have come from them. The elements put into action awakened spirits that were emancipated later, such that the activities of the League and its extensive projects and plans for the internal organization of Albania were spontaneous expressions of national trends and aspirations. The first point in the platform of the Albanian League was the integrity of Albanian territory, that was to be defended by the Albanian population instead by the Turkish government that had proven incapable of doing so. The next point was to refuse to hand over taxes and recruits to the Turkish government and to reserve them for the League. In June 1878, a committee of the Albanian League was created in Prizren under the leadership of Iljaz Pasha of Dibra, representing the northern part of Albania, i.e. the districts of Shkodra, Prizren, Gjakova, Peja, Gucia, Mitrovica, Vushtrria, Prishtina, Gjilan, Skopje, Tetovo, Gostivar, Kërçova, Monastir and Dibra. Southern Albania called together a similar assembly in Gjirokastra, representing the districts of Janina, Gjirokastra, Delvina, Përmet, Berat, Vlora, Filat, Margariti, Aydonat, Parga, Preveza, Arta, Tepelena, Kolonja and Korça. The head of this movement was Abdul Bey Frashëri of Përmet. Representatives of both committees met and made contact in Elbasan. The Turkish government had appointed Marshals Mehmet Ali Pascha and Ahmed Mukhtar Pasha as its representatives on the commission to mark the Montenegrin and Greek borders, the latter for the Montenegrin border and the former for the Greek border. Marshal Mehmet Ali Pasha was assassinated in Gjakova on 6 September 1878 by an infuriated mob protesting against giving up territory to Montenegro. The mission of Ahmet Mukhtar Pasha did not end as tragically. In February and March 1879, he led unsuccessful negotiations in Preveza with the Greek delegation, but was then ordered back to Monastir as commander. During the negotiations, the Albanian League had a committee in Preveza that protested vigorously against the surrender of Janina, Preveza and Arta, as demanded by Greece. When the negotiations broke down, Abdul Bey Frashëri and Mehmed Ali Bey Vrioni, representing the League, departed for Rome, Berlin and Vienna to plea with the governments in question for the integrity of Albanian territory. To Montenegro and Greece, that were being opposed by the League, was added a new foe – Bulgaria, that now began itself to threaten the territorial integrity of Albania. In November 1878, Bulgarian bands attacked the Sandjak of Seres near Salonica and gave the sign for the creation of further Bulgarian rebel bands in the districts of Köprülü [Veles], Prilep, Vodena [Edessa], Kastoria and Monastir situated to the east of Albania. The Albanians in these areas and in particular those in Dibra regarded the Bulgarian uprising as an attempt to create the Greater Bulgaria of the Treaty of San Stefano that included much Albanian territory and vociferously opposed this movement that was soon abandoned by its leaders. The heads of the League in southern Albania were increasingly preoccupied by the question of the future organisation of Albania. They wanted to unite all Albanian territory into one single province with its capital in Ohrid. All public officials of this province were to be Albanians and Albanian was to be the official language. In addition, Albanian-language schools were to be opened and a portion of the direct taxes would not go to Constantinople, but would stay in the province and be used in its interests. A commission elected by the people would supervise the implementation of these various orders. All religious communities would enjoy freedom of religion. At a meeting held in Prizren in early October 1879, the delegates of northern Albania debated this programme and passed it, but they were not particularly interested in the implementation of the programme because they were too absorbed by events taking place along with border with Montenegro. In early August 1879, the League sent a letter to the international commission to define the border between Montenegro and Turkey to protest about territorial concessions. The Montenegrin government realised that it would not be able to take possession of the region of Gucia [Gusinje] assigned to it, without resistance from the Albanians, and thus sent troops to the region to occupy it militarily. Their commander was Voyvode Božo Petrović. The Albanian League also gathered troops in Gucia under the command of Ali Pasha of Gucia. In early November, the Montenegrin troops that had advanced to Velika and Pepić, three hours from Gucia, made contact with the forces of the League and shots were exchanged. On 4 December 1879 there was fighting along the line between Novšić and Velika, involving four Montenegrin battalions and about 6,000 Albanians. Both sides claimed victory. The Porte now ordered Marshal Mukhtar Pasha in Monastir to advance with his troops on Gucia and to take the district from the Montenegrins. Mukhtar Pasha left for Prizren and negotiated there with the leaders of the League in Gucia, where there was new fighting on 8 January 1880. The Montenegrins had advanced from Pepić to Metej near Plava and had been attacked by the men of the League. About eight Montenegrin battalions and about 10,000 Albanians took part in the fighting. Both sides claimed victory, but in the end, the Montenegrin troops withdrew into the Sutjeska gorge near Andrijevica, and the Albanians burnt down the Vasojević villages of Velika, Ržanica and Pepić. The Montenegrin government then abandoned its project of occupying the district of Gucia militarily and turned to the signatory powers of the Treaty of Berlin to get the territory promised to Montenegro in the agreement. The Italian government took the initiative of mediating between Turkey and Montenegro and recommended the following compromise: Instead of Gucia, Montenegro was to have a strip of land encompassing the valley of Vermosh above Gucia, the right side of the Cem [Cijevna] valley down to the end of the gorge where the river enters the plain near Dinosh, and the whole plain of Tuzi to the bay of Kastrati and Hoti on Lake Shkodra. This border line meant that two-thirds of the Gruda tribe, part of the Hoti tribe and much of the territory and pasture land of the Kelmendi tribe were given to Montenegro. On 12 April 1880, this arrangement was accepted by Turkey and Montenegro. The agreement gave rise to fury, initially from the tribes affected and then from the whole Albanian League, and the League resolved to defend Albania’s territorial integrity here, too, by means of arms. The region to be ceded was occupied by Montenegro on 22 April 1880. About 4,000 Albanians gathered at the border of the region to resist the occupation, but the Montenegrins refused to do battle and turned once again to diplomatic means. The troops of the League were bolstered with more men and brought up to 8,000, and were put under the command of Hodo Bey of Shkodra and Kapedan Prenk Bib Doda of Mirdita. They deployed to the little town of Tuzi. In early June, In view of these events, England made a new proposal, according to which Montenegro would receive neither Gucia nor the Cem valley and plain of Tuzi, but rather the district of Ulqin [Dulcigno/Ulcinj] on the Adriatic coast. The more level-headed leaders of the Albanian League realized that any further refusal to comply with the will of the signatories of the Treaty of Berlin would be in vain, and decided not to oppose this cession. The more radical elements were, however, intent on fighting to defend Ulqin, but were limited to the extremist elements among the Muslims in Shkodra. In early July, under the command of Jusuf Aga Sokoli, several hundred men occupied a position near the border village of Mrković and then took the Mozhura ridge and the town of Ulqin itself. In August 1880, the Turkish government seconded General Riza Pasha to Shkodra to hand the district of Ulqin over to the Montenegrins. In early September, the signatories of the Treaty of Berlin demonstrated their naval might to the Turkish government, with a fleet of four Austro-Hungarian, four English, three French, three Italian, two Russian and one German warships. The Turkish government acceded to the wish of the Powers. General Riza Pasha was seconded and Marshal Dervish Pasha arrived in Shkodra at the end of October to implement the transfer of the district of Ulqin. A major contingent of troops was deployed near the village of Shirq [Schnjertsch / St George] on the right bank of the Buna [Bojana] half way between Shkodra and Ulqin, and on 21 November they marched under Marshal Dervish Pasha to take Ulqin. The right flank of the column was attacked by the troops of Jusuf Aga Sokoli while climbing the slope of Shkalla e Mushqit on the promontory of Kodra e Kuqe before reaching the Mozhura ridge, near the village of Klezna. The Albanians were driven off after two hours of battle and on 23 November Dervish Pasha occupied Ulqin. On 26 November the district of Ulqin was taken over by Montenegro and on 6 December the united allied fleet sailed demonstratively away. While these events were taking place on Albania’s northern border, the League was also active on the southern border. In June 1880, a conference was held in Berlin to regulate the Greek-Turkish border. The conference received protests from Berat, Vlora, Gjirokastra, Margariti, Janina and Preveza demanding that the border be drawn so that no Albanian territory be ceded to Greece. The border set forth by the conference cut half of Chameria, i.e. the districts of Janina, Aydonat, Margariti, Luros and Preveza, off from Albania. The French Government had proposed and supported this border. The people of southern Albania were infuriated by such great losses of territory. A committee was set up in Berat under Mehmed Ali Bey Vrioni and Omer Bey Vrioni to organise armed resistance to the Greek attacks that were expected. After lengthy diplomatic negotiations, the Powers agreed to have their ambassadors in Constantinople revise the borderline set forth by the Berlin Conference. The result of these talks held in March 1881 was a new border that gave Greece Thessaly, but only separated the district of Arta from Albania. Arta was handed over to the Greeks on 6 July 1881. Ulqin and Arta were the last territorial concessions that Turkey was forced to make in Albania. As such, the League did not entirely achieve its first objective, that of preserving the integrity of Albanian territory, but it was partially successful. As noted above, the programme of the Albanian League also included organizing Albanian territory in the Ottoman Empire so that it would best accord with the national endeavours and will of the Albanians. A programme was created in southern Albania in 1878 that has already been described. The League committee in northeastern Albania was busy dealing with this issue in June and July 1880. The committee was itself reformed when the original members, who had been intent on coming to an agreement with the Constantinople government, were forced to resign and were replaced by proponents of a more aggressive stance based on nationalist aspirations, who were indifferent as to whether the Constantinople government agreed or not. The delegates from northeastern Albania formulated their wishes as follows: the creation of a province encompassing all parts of Albania, with Monastir or Ohrid as its capital; the appointment of the Vali of this province by the sultan; only local public servants; and the transfer of only a portion of the revenue of the province to the central government. The League committee meeting in Prizren submitted this programme to the sultan. In October 1880, there was a gathering in Dibra attended by men from all over Albania. The resolution passed at this gathering repeated the wish for the creation of an autonomous province of Albania, including all parts of the country. The wishes of the gathering were expressed in a submission that Xhemal Bey of Dibra took with him to Constantinople. Delegates from southern Albania, Abdul Bey Frashëri and Mustafa Efendi, visited the towns of northern Albania, and the delegates from the north, Dervish Mustafa Efendi, Sheikh Ismail Efendi and Muderriz Abdullah Efendi, visited the towns of southern Albania in order to make the unification of Albania appear more appealing to the people and to promote closer contacts between north and south. These events made an impression on the Constantinople government that took an interest in the Albanian demands and considered consolidating all areas inhabited by Albanians into one vilayet. However, most of the high officials of the Porte and many of the key advisors stuck to their centralist strategy and refused to make any concession of autonomy in domestic policies. They were fearful that autonomy would damage Turkish interests and would weaken the cast of functionaries, in particular, Constantinopolitan functionaries. The people of Albania were bitterly aware of the negative attitude of the government to their demands, and the League resolved to oppose the government openly, by refusing to send conscripts and by ignoring the orders of government officials. It started in Prizren. The governor was not allowed to conduct any official business and was replaced in these functions by a member of the committee there. The committee of the League of Prizren mustered a contingent of troops to implement the same rules in neighbouring towns. In the meanwhile, Dervish Pasha in Shkodra began to take action against the League by sending a number of individuals into exile who were associated with it. The president of the League committee of Shkodra, Muderriz Daud Efendi, and the commander of the gendarmerie, Fettah Aga, were sent to Constantinople and, on 12 December 1880, Dervish Pasha had Hodo Pasha of Shkodra and Prenk Bib Doda, Kapedan of Mirdita, arrested and escorted to Constantinople. Hodo Pasha was interned in Erzincan in Armenia. Sulejman Aga Vokshi of Gjakova led the armed troops formed by the League of Prizren to Skopje (on 4 January 1881) and had government administration transferred to the League committee under Jashar Bey. From Skopje, the League forces marched on Prishtina where the Vali of the Vilayet of Kosovo, who was also the military commander, resided. On 18 January 1881, the League occupied Prishtina and the Vali was called back by the Constantinople government. All the districts of the provinces of Prishtina and Skopje came under the authority of the League. In February 1881, Dibra followed Prizren’s example. Under the influence of Abdul Bey Frashëri, the imperial government was forced to withdraw, and governance was placed in the hands of the League. Meanwhile, Marshal Dervish Pasha left Shkodra for Constantinople. He was a rigid promoter of centralist government and exerted pressure on the Constantinople government not to give in to Albanian demands, but to suppress the movement in Albania by force of arms. The views of Dervish Pasha won out, and he himself was given the mission of subjugating Albania. A substantial contingent of troops, about 20,000 men, marched on Skopje and, on 23 March 1881, the commanding general in Skopje, Ibrahim Pasha, arrested the members of the League committee there: Jashar Bey, Haxhi Mustafa Bey, Maxhi Abdurrahim Bey, Xhavid Bey, Ismail Efendi Mohaxhir, Haxhi Baki Efendi, Sheikh Ali Efendi, Mehmed Efendi Lolo, Abdul Aga, Matkali Ibrahim Qehaja, and Sheikh Behaedin, and had them sent to the fortress of Rhodes. A few days later, Dervish Pasha arrived in Skopje, took the railway line from Skopje to Mitrovica with his military forces and assembled about 10,000 men in Ferizaj with two batteries, to march against Prizren. The League committee in Prizren mustered a contingent of about 4,000 to 5,000 men and occupied the gorge of the Cërnaleva River flowing down to the plain of Kosovo, near the market town of Shtimje. The vanguards on the two sides had advanced to the village of Slivova. On 20 April, Turkish troops attacked the Albanians near Slivova. Dervish Pasha made particular use of his artillery. Since the Albanians had none to oppose him, the mountain peasants who constituted the greater part of the contingent and who had never seen artillery fire, were demoralized. However, the Albanians resisted the whole day and only withdrew in the evening. Turkish troops continued their advance towards Prizren the next day without meeting any serious resistance, and on 22 April 1881, Dervish Pasha took possession of the town. On 5 May, Dervish Pasha had General Hadji Osman Pasha occupy the town of Gjakova with his 4,000 men and artillery, and Peja was taken later without a fight. When Dervish Pasha approached Prizren, Abdul Bey Frashëri, the main promoter of the ideal of Albanian unity, fled towards the coast near Durrës. Dervish Pasha offered 50 Turkish pounds for his capture, and Abdul Bey was indeed detained near Elbasan and taken to Prizren, where Dervish Pasha imprisoned him. Dervish Pasha did not take any steps against other leading figures who had participated in the movement. He summoned all the leaders of Peja, Gjakova, Tetovo, Dibra and Shkodra to Prizren, chided them for the error of their ways, demanded that they cease their autonomist activities, and show full loyalty to the sultan and the Constantinople government. They were then allowed to return to their homes. Only Haxhi Omer Efendi, the president of the League committee in Prizren, did not trust Dervish Pasha and fled to Ulqin where he took up permanent residence. In southern Albania, the Turkish government jailed the leaders of the League. Mustafa Asim Pasha, Governor-General of Janina, summoned Mustafa Nuri Pasha of Vlora, Omer Bey Vrioni of Berat, Sulejman Bey Dino of Margariti, Mustafa Efendi and Ahmed Pasha-Zade Mustafa Bey of Janina, and Kiazim Bey of Preveza to attend him in Preveza in May 1881, arrested them there and sent them to Çanakkale in the Dardanelles, where they remained until November 1883. In September 1881, Dervish Pasha left Prizren for Dibra and, having completed his mission to pacify the Albanians, returned to Constantinople, where he was from then on consulted as an authority in all Albanian affairs. Some people doubt the very existence of an “Albanian League.” This opinion is based on the allegation that there was no Albanian nation or nationality but only a jumble of tribes lacking cohesion. Those who support this view insist that one cannot speak of an Albanian League, but only of a “Muslim League” that was created and organised by the Turkish authorities so that Turkey could circumvent the provisions of the Treaty of Berlin. Others, in particular those who had observed the activities of the Prizren committee of the Albanian League, maintain that the Albanian League was a reactionary movement, against Christians and all things progressive, and was of fanatic, exclusively Muslim religious inspiration. The movement wanted to reverse all the achievements that Western European influence had had on Turkey since 1839, commonly known as the “Tanzimat” or Reforms, in order to replace them with a society and administration based solely on Muslim religious law, the Sharia. Seen in this light, the Albanian League could be said to have been a reactionary movement. Its leaders were not so much concerned about abuse in the Ottoman administration as they were about foreign officials from Constantinople enjoying the financial benefits of such abuse in their stead. It has already been alleged that it might have been circles in the Turkish government that appealed to patriotic sentiments in Albania to rise against the loss of Albanian territory as stipulated in the Treaty of Berlin and that it was these circles and Turkish officials who collaborated in and encouraged the creation of the Albanian League and its various local committees. However, it must be stressed that, as events later played out, the Turkish officials lost their control over the Albanian movement, and that the Albanian League went its own way until it was in complete opposition to the Turkish government. At the start of the movement, members of the League committees were selected from circles that were complacent to the wishes of the Turkish government, but later, the movement fell into the hands of a group of people who were no longer pursuing the government programme, but their own national autonomous programme. The fact that the movement did not achieve its objectives cannot be used to justify the argument that it was not pursuing any objectives corresponding to the will of the people. The activities of the League to prevent the loss of Albanian territory must, at any rate, be seen as part of general activities towards the creation of a single province uniting all parts of Albania with its own autonomous status. It is obvious that political history has tended to concentrate more on the former than on the latter, which has been dealt with more vaguely. The Albanian League was opposed by Christians and conservatives primarily because the League committees in Prizren and Dibra had demanded the abolition of the courts introduced in 1864 and called for the sole application of Sharia law. This, however, requires an explanation. French legislation was the basis of court law and proceedings in criminal and civil cases as of 1864, but this legislation brought with it so much formality and bureaucracy that it did not tally with the needs of the population, which was at a much lower state of cultural and economic development than the French, The new laws were regarded as nothing more than a bother. In addition, it required an educated, able and morally uncompromised caste of civil servants, such as that in France, to make this complex judicial legislation function, whereas the Turkish civil servants called upon to implement and interpret the new laws had neither the requisite education nor the abilities or character traits needed. In the eyes of the population, the said laws were simply a means by which Turkish civil servants could make money and ignore the prerequisites of justice. They felt that the new laws were worse than the old ones and wanted a return to the latter. Their demand was for the return of adet [custom] and Sharia, whereby the former word is not to be ignored. The Albanians demanded adet, a return to their old customs. Few people know that many Albanians in the north were living according to their own mountain customs - not to Sharia, but to the Kanuni i Xhibalit [Mountain Kanun] or the Kanuni i Lekë Dukagjinit [Kanun of Lekë Dukagjini]. As such, all the Catholics in the mountains who were living their lives according to adet [customary] law, were fervently opposed to the introduction of the new reform laws in the judiciary. The provisions of Sharia law, subsidiary to adet law, if they are not inspired by religious intolerance, are better suited to the needs of a simple people, as the majority of the Albanians are, than the very modern legislation of the Turkish reform era. Accordingly, opposition to the latter and the demand that it be replaced by something simpler, should not be understood as an opposition to progress and civilisation. The opposition was rather simply a protest against the unjust and oppressive application of these laws by the Turkish administration. It was the cry of a tortured people for better, practical institutions and, since the people of Prizren and Dibra knew no other than the original adet and Sharia law, this is what they clamoured for. When Dervish Pasha marched on Prizren in the spring of 1881, the League committee there sent a protest to the ambassadors of the Great Powers in Constantinople and professed that it had never intended to promote conditions in Albania that were those of a barbaric age or that contradicted the spirit of the times and European civilization. One cannot accuse the Albanian League in general of being anti-Christian, only the local League committee in Prizren. The men who directed the League’s activities in Prizren, Gjakova and Peja regarded the Christian Albanians as a quantité négligeable who would submit to their Muslim compatriots in all matters, and who should bear more responsibilities and shoulder more burden without having the same rights. The League committee in Shkodra was of a different view. There were several Christian members on this committee. The Catholics of the province of Shkodra had given their full support to the programme of the League, and the movement relied in good part upon them. As such, they were equals, side by side with the Muslim Albanians. In southern Albania, the majority of the Christians were against the League since Greek propaganda had had too much of an effect on them. Here, the men of the League and the Christians were political foes. The committee in Prizren did much to damage the reputation of the League. When government fell into the hands of this committee in some regions, power was not exercised in such a way as to instil confidence and sympathy in observers. The supporters of the League from other regions claimed that Prizren, Gjakova and Peja were the farthest behind in culture and civilisation of any part of Albania and that the population of this region had particularly violent tendencies. These negative characteristics expressed themselves, of course, in the figures that had formed the League committee. Had the League been able to evolve freely, in the sense of creating a central government administration to which the local committees would have been subordinate, the central government, being in the hands of more progressive elements, would have used its influence to moderate and civilize the local committee. It should also be noted that every time the people rise against an oppressive power, there is bound to be conflict and violence. The League was called the milet in Albania, a word derived from Turkish, and originally from Arabic, meaning ‘nation’. If it is so that the Albanians used the term ‘nation’ to refer to the movement known abroad as the League, this certainly means that they regarded it as something more than a political party and its dealings, but rather as a movement of the whole Albanian nation. It is as such that the League is remembered even today in Albania, i.e. as a nucleus of fundamental ideas and aspirations common to the whole Albanian nation. (i) In his “Reise durch die Gebiete des Drin und Vardar”, Consul von Hahn refers to this family in Dibra. Hasan Pasha Hodjogli is said to have built the fortress of Dibra in about 1460. He died in the campaign against Hungary around 1467 and his grave is still to be see in Varaždin in Croatia. His descendents ruled the pashalik of Dibra until the time of Ishak Pasha who was deposed around 1836 for his opposition to the reforms and was banished (the correct data are Hakki Pasha and 1844). (ii) Griesebach, Reise durch Rumelien, vol. II, p. 230 refers to this family in 1843. (iii) Consul von Hahn notes of this family (in 1858 in his Reise von Belgrad nach Salonik): “They took part in the various endeavours of the landed aristocracy against the new order of things and lost not only their titles, but also most of their private wealth. Some members of the family were killed and others died in poverty.” The family originally came from the village of Dzinić, or more properly Gjinaj or Gjonaj, near Prizren, and moved to Novo Brdo about one hundred years ago (ca. 1760) where they took power. Reshid Bey transferred his residence to Gjilan and founded the town there. In 1807, when the French traveller H. Pouqueville passed through on his way from Travnik to Janina, the head of the family and governor of Prishtina and Kosovo Polje was Malik Pasha. His brother Mustafa Bey resided in Gjilan (Voyage de la Grèce, III, p. 166).